If You #LoveTravel, You’ll Love Our Revitalised Onboard Guest Experience. Fire – Sunrises and sunsets can be relished at the new outdoor Pool Grill & Bar, followed by dazzling nights in our completely revitalised entertainment areas. 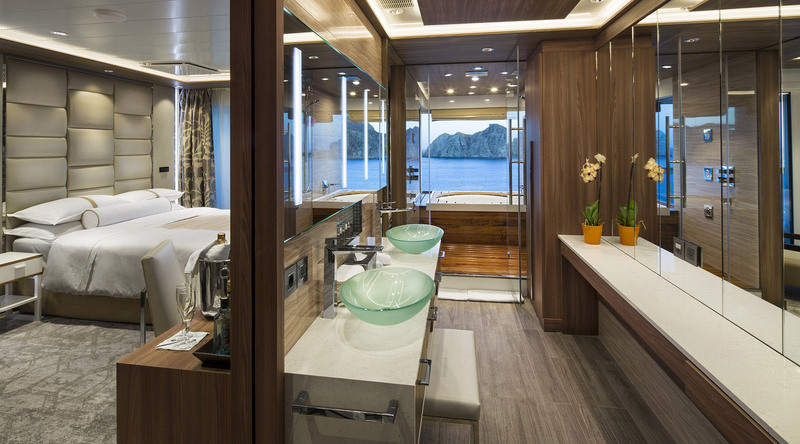 Contemporary yet classic, stylish yet refined, our completely transformed staterooms and suites are a feast for the senses. They incorporate the use of rich woods, custom-made textiles, organically inspired accents, and a natural colour scheme with silver accents to create a fresh and elegant feel. Tempt the Tastebuds & Tantalise the Senses. Your senses will be deliciously enticed with our extensive enhancements. And in keeping with our Destination Immersion® concept, there are new worlds of flavours and experiences to enjoy, be they at the Patio, a wine and tapas bar or on the Looking Glass dance floor. You may never want to leave the ship. You may never want to leave the ship.